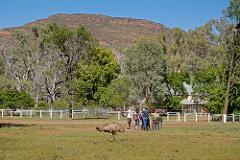 Join an experienced Yura guide for an entertaining and informative stroll to Old Wilpena Station, one of South Australia's oldest and best preserved pastoral settlements. 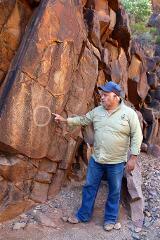 Join an experienced Yura guide for an entertaining and informative walk to Arkaroo Rock to view ancient Aboriginal rock art. 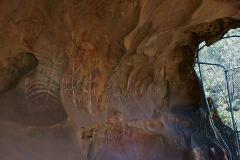 Join an experienced Yura guide for an entertaining and informative walk to Sacred Canyon to see ancient rock etchings. 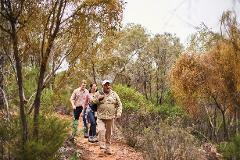 Join an experienced Yura guide for an entertaining and informative walk into Wilpena Pound, and on to Old Hills Homestead.